Where nature, architecture and pleasure are united! „Le verre capricieux“ – The Capricious Glass – is the name of the small bistrot in the park of the estate in Tramin. With its adjacent garden, it provides the ideal frame for enjoying the fine wines of the Castel Ringberg and Kastelaz vineyards to the fullest. Fine, cold delicacies are served as accompaniments to the wines, which can be enjoyed in the shade of the trees in a relaxed atmosphere. Coming from the center of the town, the elegance of the building is merely insinuated by the white surface of the long, curved roof which, at the tapered point of the fork in the road, rests on a curve of dry stone wall. Three narrow openings allow the passersby a glimpse of the interior, where the bistro pavilion’s glass walls open to the paradise of the park. Planned by the young Val Gardena architect David Stuflesser, the modern, timeless building has caught the attention of experts and has been published several times in technical journals. 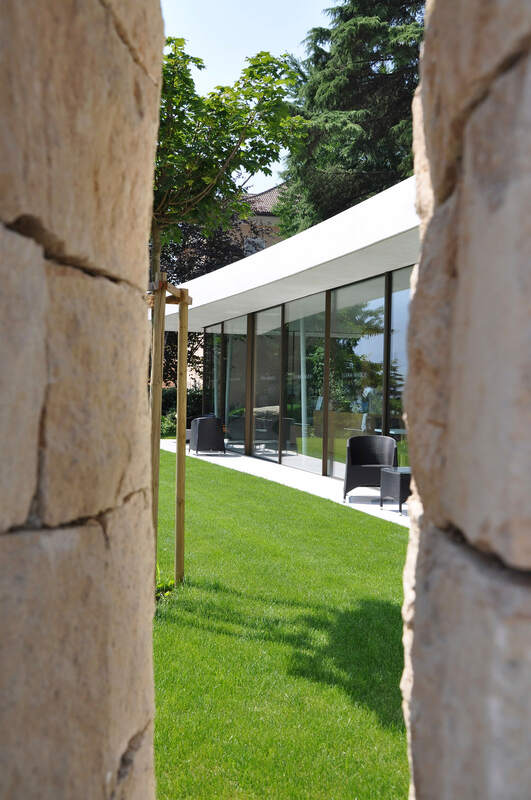 The bistrot demonstrates strong architectonic autonomy which nestles gently into the historical village landscape and especially into Elena Walch’s historical estate. The estate tavern with the panoramic view from its large terrace is worth a trip. 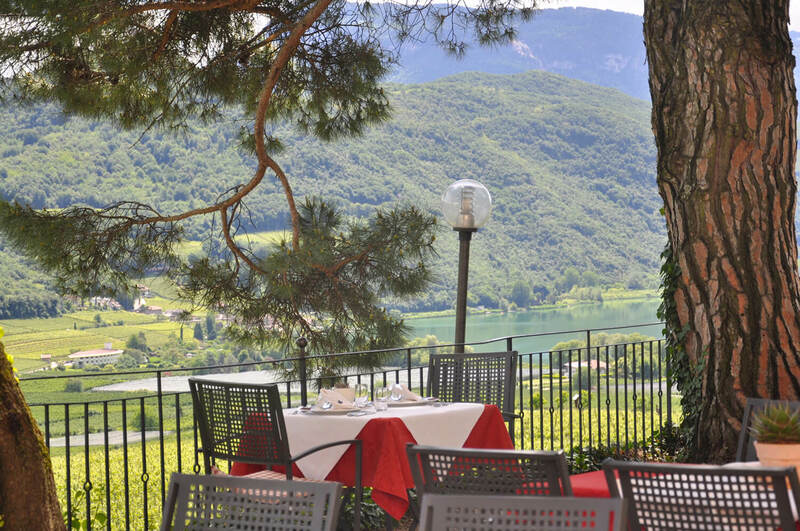 Enjoy the wide range of Elena Walch wines while gazing at the scenic view of Lake Caldaro. 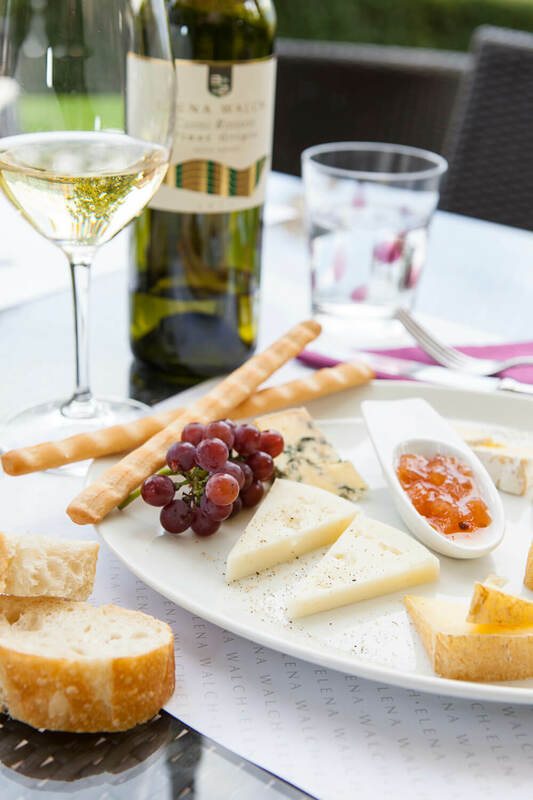 The wines can be accompanied by cold regional delicacies – chosen specialties from Alto Adige to pair with your wine choice. After a guided vineyard tour, it is the ideal place to experience, in a glass, the vineyards you just visited.